Camping Les Rives de la Doller es un camping en Masevaux, Alto Rin, situado del río/arroyo. El camping tiene plazas con cercos, con sombra, sin sombra y parcelas con algo de sombra. Cabe alquilar caravanas, caravanas fijas, casas rurales y bungalós. El camping dispone de de terreno de deportes. Con un área de 90 a 100 m2, nuestras 112 parcelas acomodan autocaravanas, caravanas y tiendas de campaña. Conexión eléctrica en terminales europeos, fuentes de agua repartidas por el camping. El sanitario de 200 m² está cerrado y climatizado, y accesible para personas con discapacidad, con un lavabo cerrado, una ducha y un inodoro equipado. En el borde del río, en un terreno llano y cubierto de hierba, nuestros sitios harán la felicidad de los gitanos que eres. Este inspector visita cada año al Camping Les Rives de la Doller y lo inspecciona considerando más de 200 servicios y otros aspectos importantes. El inspector es un trabajador de ACSI y no trabaja para el camping. Nicely located on the edge of Masevaux, with a Super-U 3 minutes walk away. Pleasant suroundings, grass pitches under trees. Toilet block is a bit tired and in need of a mid-life makeover. Good value. The Scottish couple that have run the site are retiring at the end of the 2014 season and there will be new managers from 2015. A pleasant site, with very generous-sized pitches and much better sanitary facilities than the average French municipal site, but no more expensive than the latter. No restaurant on site: there are two in the village, but you have to hunt for them! This site was a wonderful and pleasant surprise and we wished we could have spent more time there. It's very difficult to find fault with such excellent facilities for such a small price in August with free Wifi in the bar. However I must mention the fact that one of the people running the site was smoking inside the bar both times that we went to use the Wifi. A not so minor detail in these days! Despite the above this is a very well run and friendly site and we will be back. Nice site in good location (walking distance to supermarkets, good Italian restaurant, bakers - open til late - etc). Grass pitches and can be a bit boggy in parts if lots of rain so pitch carefully. Toilet facilities are good and clean. Every morning the bakers bring a selection of goods to the site. Great for day trips to Germany (Freiburg) and Switzerland. Also to Colmar. Swimming pool next door is good with reduced price for campers (all males, even young boys need swimming trunks or are turned away). Only downside is the chiming of the church bells but you get used to it! Will return. This campsite is meticulously maintined, the couple of Scots who run it are really friendly & helpful. I heard they are retiring this year so hopefully they will be replaced with their equals. There is a nice small bar area with seating outside. We have been several times & stayed for 2 or 3 nights on our trip South. This is one of the best campsites we have stayed on. Very well maintained, excellent toilet facilities, clean, warm and always lots of hot water. The site was always tidy and well looked after. Ideal location, on the edge of a small village,with supermarket in walking distance. We would recommend this site to any age group. Stayed for 2 nights and were impressed by this lovely site. It is flat, well-maintained with clean bathroom facilities and quiet. Supermarket 5 mins walk away. Friendly welcome. Easy walk into Masevaux past the local allotments which have the loveliest garden sheds I have ever seen. Town has several restaurants/shops and very pretty. Half an hour to Mulhouse that has loads of museums to see. Site recommended. ¿Desea reservar u obtener más información sobre su Camping Les Rives de la Doller? Puede hacerlo mediante los datos siguientes. A36 sal. 15 Masevaux. Sal. N466 Pont d'Aspach y por la N83 hacia Masevaux. Allí seguir "Centre-Ville", después la señal "Zone de Sport Loisirs". 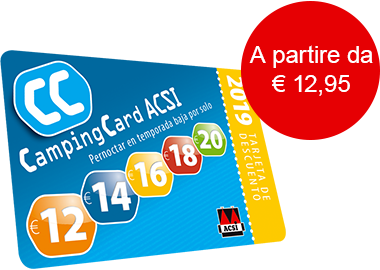 ACSI Eurocampings reenvía su solicitud de información al "Camping Les Rives de la Doller".